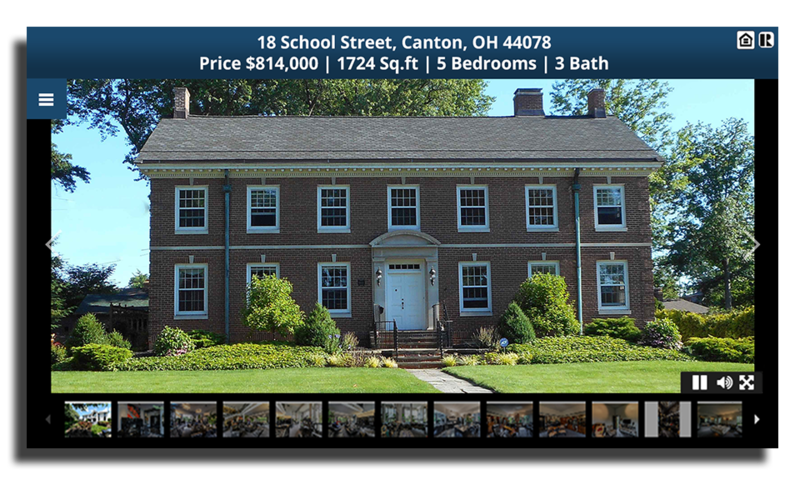 ∗ Unlimited Photos Unlimited Photos Property Panorama will automatically pull all of the photos from the MLS listing for inclusion in the InstaView products. Users can also add unlimited additional photos directly through their InstaView account. ∗ Automatically Created and Attached to the MLS Automatically Created and Attached to the MLS Within InstaView MLSs, Virtual Tours are automatically created and attached to the MLS within one hour. This process is 100% hands free and requires no additional work from the agent. ∗ Branded and Unbranded Tours Branded and Unbranded Tours InstaView provides fully compliant Unbranded Virtual Tours for use on the MLS. 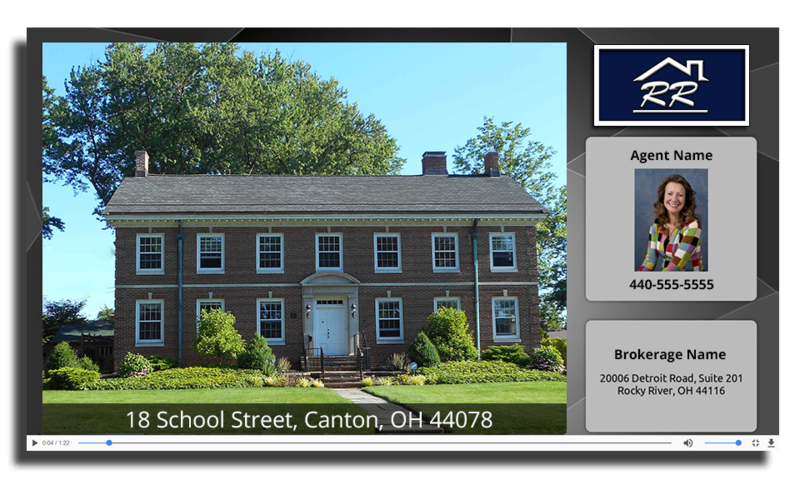 Branded Virtual Tours include all agent and office contact information and are perfect for sharing directly to consumers, on Social Media, REALTOR.com, personal sites, or anywhere outside of the MLS. ∗ Listing Videos Listing Videos Within 36 hours of a virtual tour being created, Property Panorama generates a video available in multiple formats for download and syndication. 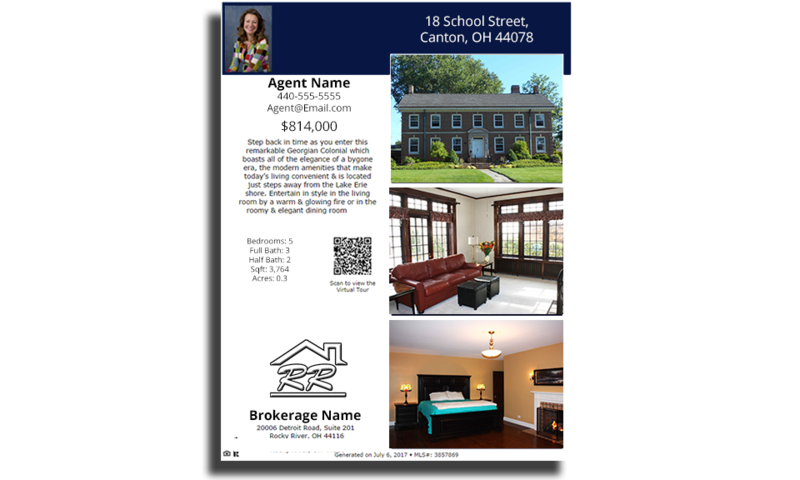 ∗ PDF and Virtual Flyers PDF and Virtual Flyers PDF and Virtual Flyers are created for each listing and attached to the Branded Tour. PDF Flyers are easily downloaded from the InstaView accounts or directly from the Branded Virtual Tours. ∗ Unlimited Access to Tech Support Unlimited Access to Tech Support Property Panorama provides UNLIMITED customer service to all members, FREE of charge. Contact Us Now! ∗ Training Webinars and Videos Training Webinars and Videos Property Panorama offers Webinars and tutorial videos for every aspect of InstaView. 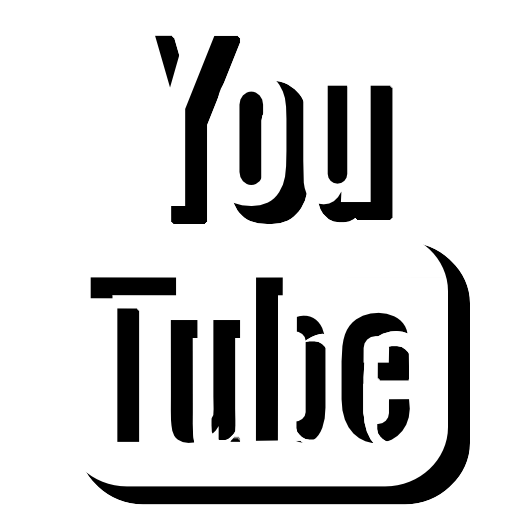 View up to date training videos on our YouTube Channel! 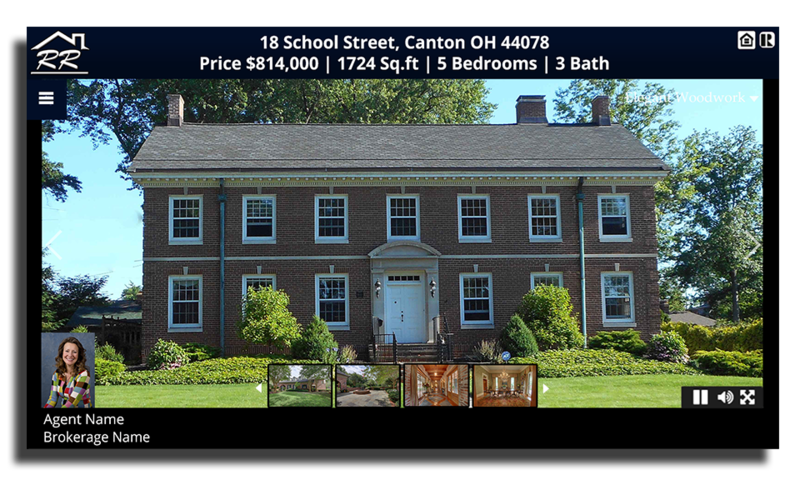 ∗ Lead Generator and Capture System Lead Generator and Capture System Property Panorama allows members to generate and capture leads through each component of the Virtual Tour. ∗ Social Media Syndication Social Media Syndication InstaView can be easily shared to Facebook and Twitter. All other major Social Media sites are only one-click away! ∗ Full Screen and Fully Responsive Full Screen and Fully Responsive Property Panorama’s InstaView Portfolio is full screen and fully responsive to every mobile device. Tablets, smartphones, iPods, etc.. Property Panorama is always accessible to agents and consumers alike. ∗ Add and Generate Panoramas Add and Generate Panoramas InstaView supports unlimited panoramic photos. Members can upload pre-made panoramas, or easily create seamless panoramic photos using our cutting-edge photo stitching program, without any special cameras or hardware. ∗ Add Your Own Video and Media Add Your Own Video and Media Easily add custom videos, 3D Tours, Floorplans, Drone Videos, or any other media directly to the Branded Virtual Tour. ∗ Custom Music and Voicovers Custom Music and Voicovers Members can personalize their tours by uploading custom audio files for use on the Branded Virtual Tour. ∗ Choose from 70+ Music Choices Choose from 70+ Music Choices Property Panorama supplies 70+ pre-loaded music choices for members to choose from. ∗ Google Maps w/ Viewing Options Google Maps w/ Viewing Options Utilizing Google Maps, InstaView provides consumers with multiple viewing options. Automatically attached to the tour, Google Maps is integrated directly into easily accessible tab. ∗ School Demographics School Demographics Consumers are always one click away from local school and neighborhood information. ∗ Loan Calculator Loan Calculator Buyers can quickly calculate interest rates and payment plans directly from the Branded Virtual Tour. 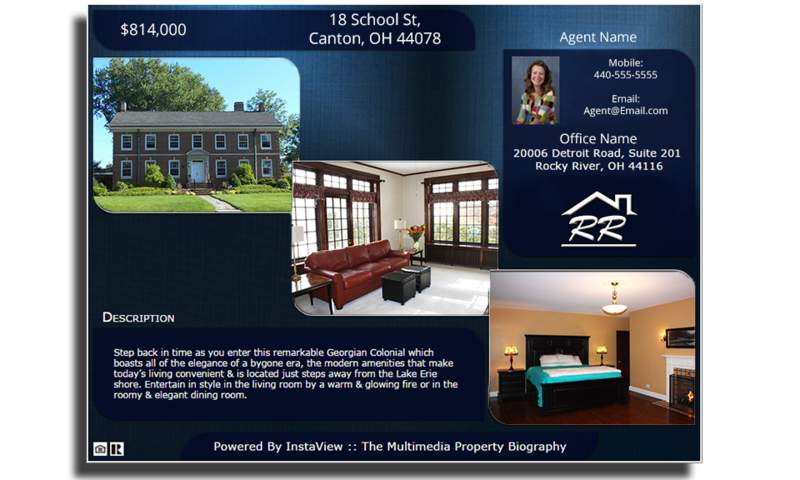 ∗ Property Details Property Details Each InstaView Portfolio contains the full property description, pulled directly from the MLS. ∗ TurboText TurboText Potential buyers can quickly access property information from their mobile device by texting the TurboText Code to Property Panorama’s dedicated SMS text service.These codes can be attached on sign riders in front of the property for buyers to view from the street..
∗ CD/DVD Tours CD/DVD Tours Within 36 hours of a virtual tour being created, Property Panorama generates a video available for download. Once downloaded, members can create their own CD and DVDs or upload the video directly to their own video channels. These features apply to our enhanced products. to the MLS Automatically Created and Attached to the MLS Within InstaView MLSs, Virtual Tours are automatically created and attached to the MLS within one hour. This process is 100% hands free and requires no additional work from the agent. ∗ Automatic Social Media Syndication Automatic Social Media Syndication InstaView can be easily and automatically shared to Facebook and Twitter. All other major Social Media sites are only one-click away! ∗ Automatic REALTOR.com Syndication Automatic REALTOR.com Syndication At no additional charge, Branded Virtual Tours can be automatically submitted to REALTOR.com every time a listing is created.